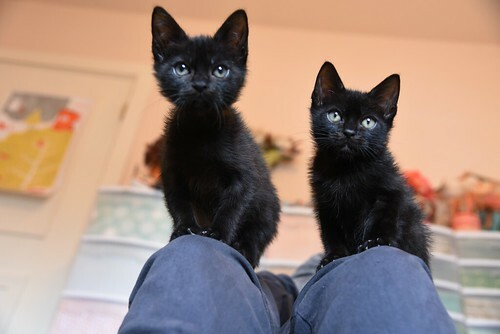 The Itty Bitty Kitty Committee: Perch Here, Fishkins! 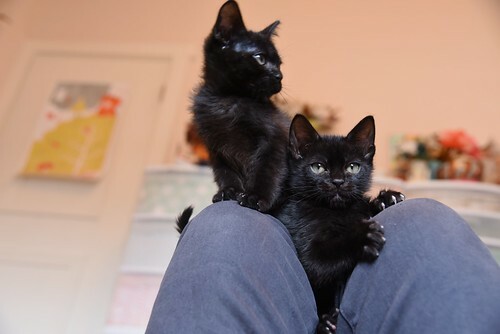 I don't have any towers for the kittens to climb in their room. All of my craft supplies and crafts are up high and out of paw's reach, and a tower would grant them access to things kittens just shouldn't be getting into. 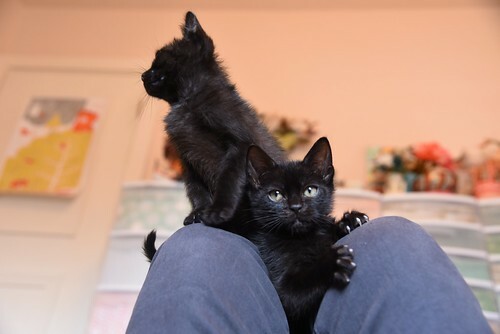 Kittens gotta climb, so when I'm in the room with them, I become their human cat tower. I don't mind one bit, of course, and I will gladly provide this service for them. Perch here, Fishkins! Perch here! The only time I've known anyone to have a problem with being Mount Hooman is at feeding time. ;) They look very proud of their accomplishment. Aww! I think these babies are getting more velvety and bright-eyed every day! They are precious. 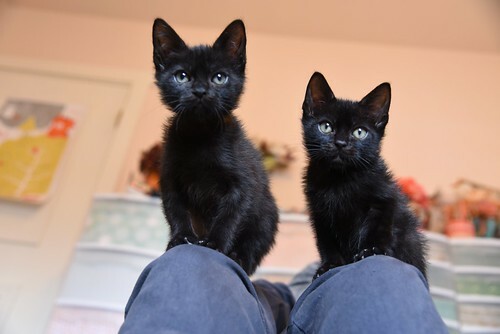 Laurie, did you hear that the Itty Bitty Kitty Committee was mentioned on "Life in Pieces" last night? I thought I heard that too! Didn't know that - I will have to check that out. Can't tell you just how many pairs of jeans have been destroyed by those little claws scaling my legs!! Is this an open job? 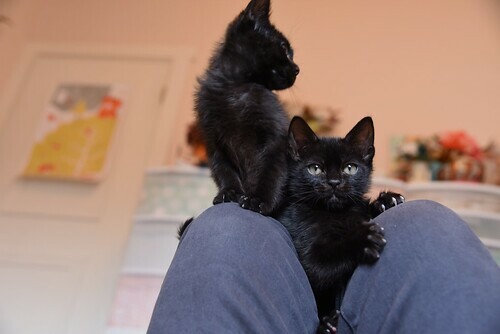 Being a Kitten Mountain? Where can one apply? They look SO very much better.